Three years after “Insidious” introduced moviegoers to the Lambert family and its troubling connection to the spirit world, the stars and filmmakers have reunited for another installment. 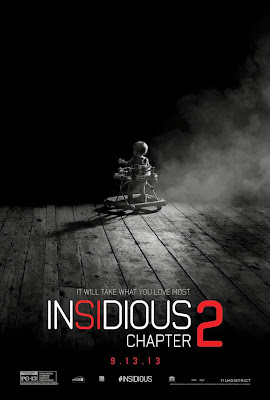 “Insidious: Chapter 2” picks up where the first story ended, but the sequel has enough scares, laughs and a story of its own to stand alone. 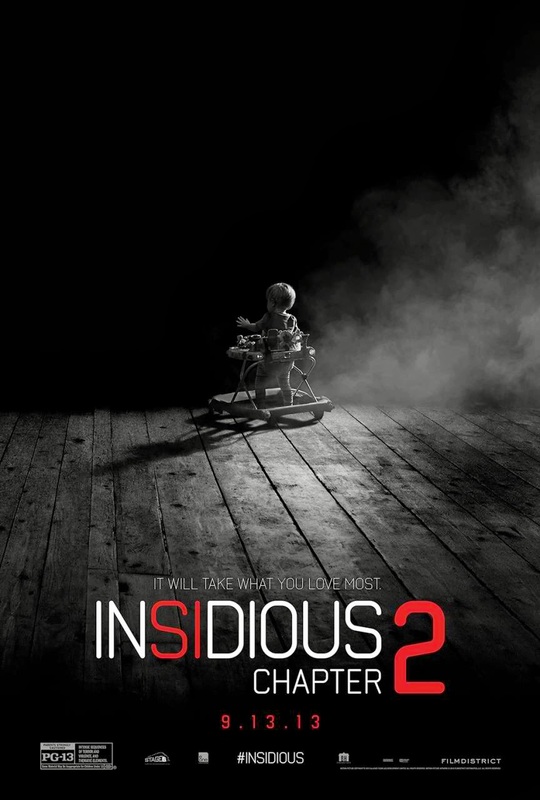 Like its 2010 predecessor, “Insidious 2” is a haunted-house tale with supernatural elements. The typical horror-movie tropes are at play here: Creaky doors, creepy apparitions and long, dark hallways explored by flashlight. There’s also a haunted piano that repeats the same eerie melody and an outrageously loud and colorful baby walker that spontaneously lights up and moves around. Patrick Wilson and Rose Byrne return as Josh and Renai Lambert, well-meaning parents who moved into a new home after fearing their last one was haunted. Their eldest son, Dalton (Ty Simpkins), has recovered from a mysterious coma (a reference to the first film), but he’s still plagued by nightmares. He doesn’t just see dead people; they want something from him. When the frights become too much for Renai, the family decides to stay with grandma for a while. Lorraine Lambert (Barbara Hershey) has been through this kind of thing before, when her own son, Josh, was haunted as a child. She knows who to call. Josh was treated by ghost specialists as a child, and a flashback to his youth reveals even more about the source of his troubles. The film is also self-aware and self-referential, rewarding viewers of the original film with additional explanations in the sequel. And, like its predecessor, “Chapter 2” leaves open the possibility of more to come. Seeing what Wan did with the Conjuring makes me realize that he's capable of so much more. More than this, at least. Good review Pria.